Two weeks on I must say I’ve been struggling a bit with the pump recently. It seems to suction milk up in the air pipe if not held exactly the right way, and in one pumping session I had to blow the air out four times. I’m not sure what that does for the hygiene of the milk, i.e. if I was going to donate it. I still think it’s a fair to good pump, especially at sale prices, but would probably go for the slightly more expensive Medela if I was paying full price for both, sadly.Â Â I read a review by someone else who said that Tommee Tippee wouldÂ do well to just add a second pipe and must say that I am slowly but surely starting to agree.Â The pump DOES work, and it DOES work well, so long as you hold it the right way, and as I often pump while playing with my daughter or cooking dinner, that’s not always as easy as it should be! When I started breastfeeding, my mother recommended that I pump when my daughter, Ameli, was sleeping so as to encourage milk production. 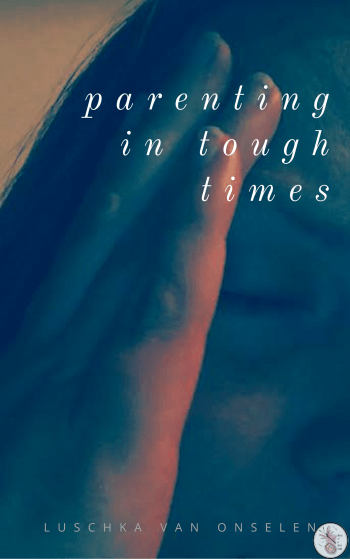 I seemed to spend the first six weeks feeding and pumping, feeding and pumping. The upside of this is that my husband was able to feed Ameli in the evenings from time to time so that I could catch up on sleep. The end result of that was that I have always had plenty of milk supply both on hand and in the freezer! That worked really well, until the little white bit on my fantastic Medela went missing, and unfortunately customer service left something to be desired and I’ve never been able to replace it. At a recent event I was bemoaning my lack of breast pump when a rep from Tommee Tippee offered to send me one. I was happy to accept as I simply don’t have that much cash available right now. I was thrilled when the box arrived. It looks great. In comparison to the Medela, it is slick, pretty and looks really fancy. As a new product it comes partly assembled and is easy to get up and running. If it came second hand and disassembled it would probably be quite tricky, though, as there are quite a few parts. The control couldn’t be simpler to operate. There are four settings which allow you to choose your comfort zone and how much and how fast you want the suction to be. It is also remarkably quiet in comparison, making pumping in the room with a sleeping child a possibility. The ‘ultra-comfortable silicone cup with internal massage ripples which help to mimic a baby’s natural feeding action’ pretty much means nothing happens, for me. There’s no suction even at the highest setting, and after ten minutes of pumping, I had just about enough milk to cover the bottom of the bottle. For the first time I understood how the mothers I’ve listened to in baby group felt when they’ve said that an hour of pumping gives them an ounce or two and why they felt they had to give it up. I totally get it now. Previously I could get four ounces in about fifteen minutes. This was disheartening. I came back to it a few hours later when I knew my breasts were full and still there was nothing other than the gentle burn of let down and a few drops here and there. I had a sudden inspiration and took the silicone shield off, and suddenly everything worked perfectly! Too perfectly, in fact as I filled up the 5oz bottle in no time, overfilling the bottle and causing milk to go up the air pipe. Now, this Closer to Nature breastpump has received a lot of negative feedback specifically because of this, but I didn’t really find it a problem. It was easy enough to clean and put back together, and if the pump is held at the correct angle as per the manual and not overfilled, it isn’t a problem at all. The pump also comes with a feeding bottle with a slow flow teat, a milk storage lid, milk storage pots (although tiny, not sure of their purpose! ), breast pads and a very handy steriliser box that doubles up as a carry case or storage container for all the bits. 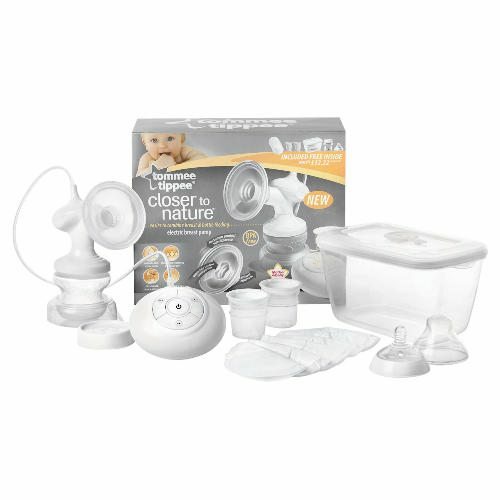 In the end I am perfectly happy with the Tommee Tippee Closer to Nature breast pump, so long as you stop pumping before it’s too full and the silicone shield is removed. It doesn’t feel as comfortable as it did with the shield, but it feels like a breast pump and I’m fine with that. GreenPeople Sunscreen Giveaway – Sunscreen: Did You Know? @Riska, I can’t honestly say one is better than the other as different pumps work differently for different people. I have used both though, and for me the Medela worked much, much better than the Tommee Tippee. Good luck! @jax (liveotherwise), Thanks for answering Jax. I wonder why though – I am aware that some pumps just do not work for some people…for example I had an Avent manual and I swear I pumped for 20 minutes and got nothing! It’s unfortunate because as you say they are so pricey, having to try a few types is such a waste of money.